and how these two disciplines are related. Afterwards, we will consolidate all the common risk factors people have identified for enterprise architecture and system integration. Finally, we get a case study of how people use one of the models, HHM, National Institute of Standards and Technology, and Project Management Body of Knowledge (PMBOK) to manage their enterprise architecture in modern times. Implementing and deriving a quantitative model for information systems is out of scope, but hopefully we will provide bits and pieces to people who want to develop something handy from this paper. During the last two decades, enterprises utilize information technology for their business. There are many system integration projects involved and after the projects there are lots of operation and ongoing support work. As the whole enterprise involves a lot of different technologies, different people, different infrastructure and many other factors, managing it becoming very complex. Risk management on our enterprise architecture is one of the big topics enterprise architectures and executive should care about. There have been pragmatic guidelines for helping IT professional manage risks to their systems, but there are not many formal quantitative methodologies of how people should manage their risk. Also this is the highest bird eye view of risk management of technology. It consists of a lot of human and social factors from the whole enterprise and IT professional may not see them in a black and white way. We hope people can utilize the paper as a starting point to develop further sophisticated quantitative models, or even software for enterprise architecture risk management. We will first layout the principles and models for risk management. The purpose here is that enterprise architecture risk management is complex and we need some building blocks to give us foundations. Second, instead of just giving some pragmatic guidelines, we want to provide some theoretical depth to the discussion, for the sake of people who want to develop models from our bit and pieces of information. Why risk modelling is complex? Three fundamental reasons for the complexity of risk modeling . One is that decision making under uncertainty literally encompasses every facet, dimension and aspect of our lives. It affects us at the personal, corporate and government levels. It also affects us during the planning, development, design, operation, and management phases. The second reason risk based decision making is complex is that it is cross disciplinary. The subject has been further complicated by the development of diverse approaches of varying reliability. Some methods, which on occasion produce fallacious results and conclusions, have become entrenched and will be hard to eradicate. The third reason is grounded on the need to make trade-offs among all relevant and important cost, benefits, and risks in a multi-object framework, without assignment weights with which to commensurate risks costs and benefits. We will discuss why enterprise architecture modelling needs this complex concepts later - after we discuss what enterprise architecture is. Zigler  introduced Multifaceted Modelling and Discrete Event Simulation. The term multifaceted to denote an approach to modelling which recognizes the existence of multiplicities of objects and models as a fact of life. 10. 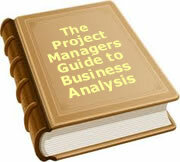 Evaluates the impact of current decisions on future options. Singh  multiple volumes of the systems and control encyclopaedia: theory technology applications on modelling large scale and complex systems. Multifaceted modelling, meta systems, hierarchical holographic modelling and other contributions in the field of large scale systems. Reduce risk and prepare the enterprise for rapid unplanned change. Why Enterprise Architecture Risk Management is complex? Enterprise architecture involves every facet, dimension and aspect of the enterprise. It affects everyone at the personal, corporate levels, and it also affects system integrations during the planning, development, design, operation, and management phases. The second reason is that risk based decision making is complex in that it is cross disciplinary. Enterprise architecture involves thousands of solution architecture(s), software, applications, hardware, network, databases, middle-wares etc, business processes, operations, line of businesses, support, projects, departments, politics, etc. Mary Summer's paper  has identified many risk factors. When we do our architecture assessment or system integration, we have to bare those in mind. We are going to summarize it in two tables. This section provides some examples of how people do risk management in enterprise architecture environment. Some of them use the models we describe earlier. The hierarchical holographic modelling framework is used to identify the source of software risks in systems integration. Each of the seven visions addresses multiple categories of risk sources. Although not shown, there are many couplings and interdependencies among these categories and among individual risk sources. Switching perspectives in the HHM framework. In (a), the sources of risk to software quality are the primary concern. Of secondary concern are the sources of risk in the environmental vision. In (b), the perspectives are switched. The HHM provides the flexibility to see the system from many perspectives, which lets analysts see the myriad factors that can affect risk sources in a particular perspective or category. These standards didn't address a lot of the risk modelling. However it addresses many risk management aspect specific to information technology enterprise infrastructure. We can see are trying to bridge the gap between high level risk management methodology and enterprise architecture, on the other hand we are trying to bridge the gap between enterprise architecture, and risk modelling. These set of standards focus of the methodology. As you can see the following tables mainly classify things into System Development Life Cycle and security risks. Basically we can say one is during the system is being developed. The second is after the system is developed, and is operational. For development risk management, the (NIST) uses a phase approach or linear process approach to partition the risk management. The methodology flow chart has a strong reference to the system engineering process we talked about in the earlier chapter. After the system is developed, NIST talk about risk management in the operational maintenance phase of the enterprise architecture. They focus the risk management on security. I think their main concern is security threat. I also think they didn't spend a lot of time describe other risks like system failure, functional, performance, integrity, compliance which are very important and many of them can get political. Based on my experience, one of the challenges of an enterprise system after it is set up is the system has some functional defects during operation time or causing outage. Since the system is cross disciplinary, none of the experts have enough knowledge to determine where the problems are. Since the impact of IT system failure can cause millions of dollars lost, no one would like to bear responsibility. Instead of accepting the problem, people from different department point fingers at each other, saying this is the other person's problems. You can see 30 people on a phone call with several directors, just to solve one technical problem. With good operational and compliance process, we hope we can mitigate this kind of situation to a minimum. This phase may involve the disposition of information, hardware, and software.  Risk Management Planning - deciding how to approach, plan, and execute the risk management activities for a project.  Risk Identification - determining which risks might affect the project and documenting their characteristics.  Qualitative Risk Analysis - prioritizing risks for subsequent further analysis or action by assessing and combining their probability of occurrence and impact.  Quantitative Risk Analysis - numerically analysing the effect on overall project objectives of identified risks.  Risk Response Planning - developing options and actions to enhance opportunities and to reduce threats to project objectives.  Risk Monitoring and Control - tracking identified risks, monitoring residual risks and identifying new risks, executing risk response plans, and evaluating their effectiveness throughout the project life cycle. From the PMBOK, you can see they recommend quantitative models like probability distributions, sensitivity analysis, expected monetary value analysis (EMV), decision tree analysis, Monte Carlo techniques, Precedence Diagramming Method (PDM).  Continuous Probability Distributions represent the uncertainty in values, such as durations of schedule activities and costs of project components. Discrete distributions can be used to represent uncertain events, such as the outcome of a test or a possible scenario in a decision tree.  Decision Tree Analysis. Decision tree analysis is usually structured using a decision tree diagram (Figure 11-12) that describes a situation under consideration, and the implications of each of the available choices and possible scenarios. It incorporates the cost of each available choice, the probabilities of each possible scenario, and the rewards of each alternative logical path. Solving the decision tree provides the EMV (or other measure of interest to the organization) for each alternative, when all the rewards and subsequent decisions are quantified.  Modelling and Simulation: A project simulation uses a model that translates the uncertainties specified at a detailed level of the project into their potential impact on project objectives. Simulations are typically performed using the Monte Carlo technique. In a simulation, the project model is computed many times (iterated), with the input values randomized from a probability distribution function (e.g., cost of project elements or duration of schedule activities) chosen for each iteration from the probability distributions of each variable. A probability distribution (e.g., total cost or completion date) is calculated. For risk management that is specific for enterprise architecture, there are not many in PMBOK. But based on my previous experience in the industry, Project Managers in Information Technology infrastructure treated PMBOK as one of their best practices to manage enterprise information infrastructure. Of course there are discrepancies between PMBOK high level methodologies and actual details specific of enterprise architecture, as we can see some of the literature such as Mary Summer's paper have been trying to bridge the gap. There are many more models mentioned in the PMBOK. We would not further elaborate since the scope of this paper is to find something beyond PMBOK. We would just want to highlight the intersection of PMBOK risk management and those topics we talked about in previous section. Enterprise architecture risk management is managing the risks of all the Information Technology and relevant business processes in an enterprise. It has the highest level perspective of managing the risks in an enterprise from technology perspective. It not only identifies security threats, but also involves functionality, multi-disciplinary, multi-faceted, human, social, and political factors. We need some complex models that can take all of them into considerations. This paper focuses 1 st on introducing some complex modelling concepts, introducing what enterprise architecture is, identify many problems that people are having in their enterprise system integration projects and then some methodologies of risk management, in enterprise architecture and system integration perspectives. We first collected some formal quantitative models and methodology for risk management in general. We collected from different resources and references about what best practices people are using nowadays in information system industry. We can see in some cases people are using some quantitative model such as HHM in the information industry. But many of the metrics and flow are qualitative more than quantitative. In a general decision making process, those guidelines are sufficient, but we can see it doesn't utilize a lot of quantitative methodology for evaluations. From the National Institute of Standards, we can see many handy guidelines and processes for risk management. They really look like the traditional system engineering process. The methodology they use involves two main sections. One is for development, the other one for maintenance. The development one slices things using SDLC phases, while the operation ones focus on security risks. We would like to say functional and performance risks are also as important. Also as common practice in the Information System security management area, people do not use a lot of quantitative analysis or software tools for risk. They use templates, and professional judgment usually. This is pragmatic enough in usual situation but also means there may be marketing opportunity to develop novel enterprise architecture risk management suites. This paper does not do a lot of product evaluation on this kind of software. Based on the evaluation section on the enterprise architecture book, there are enterprise architecture evaluation tool that take risk assessment into account. However the criteria of risk assessment we talk about is far deeper than what are described in the white paper. For the project management body of knowledge, there are a lot of high level best practices that are applicable in any industry. They take advantage of many mathematical models - although they are not that sophisticated, but handy. They also don't have many details specific for system development but in real life many project managers took PMBOK training before or while they manage IT infrastructure. As a starting point, the paper provides some references and resource to initiate more quantitative ways of assessing risks management in enterprise architecture. Deriving the quantitative models for enterprise is too much of an effort for the paper and is out of scope. We hope we can provide bits and pieces for people who are interested. On the other hand, I don't see a lot of regulations and guidelines in the enterprise architecture area that have human factors involved. This is always important. People who are working in this area are aware of them, but they are not extensively written on paper in risk evaluation models. In the first section, the models we have could cover some of the social, human aspect of risk management that is also possible to get integrated into existing methodology. Enterprise architecture risk is not only focused on security, although this is a very important factor. There are many pieces of enterprise architecture evaluation software(s) in the industry. I am not sure how sophisticated the risk management portion of them can be, and how much utilization of the models is happening. Nevertheless different methodologies also fail to address some of the principles, for example the system engineering processes. One thing I would like to highlight is that we did not talk about cost management in this paper. This would also influence risk management decision critically. It can be treated as a separate topic but there are a lot of interdependencies between risk management and cost management for decision makers. On the whole, there is a lot of good stuff scattering around. We just need people to consolidate and derive better things from there. Singh, M, G, 1987, Systems and Control Encyclopedia: Theory, Technology, Applications, Pergamon Press, New York. TA Longstaff , C Chittister , R Pethia , YY Haimes , 2000, Are we forgetting the risks of information technology? Block, R. (1983) The Politics of Projects (Yourdon Press, Prentice-Hall, Englewood Cliff, NJ). Barki, H., Rivard, S. and Talbot, J. (1993) Toward an assessment of software development risk Journal of Management Information Systems , 10 (2), 203-25. Ewusi-Mensah, K. (1997) Critical issues in abandoned information systems development projects. Communications of the ACM , 40 (9), 74-80. Ginzberg, M. I. (1981) Early diagnosis of MIS implementation failure: promising results and unanswered questions. Management Science 27 (4), 459-78. Keil, M., Cule, P.E., Lyytinen, K. and Schmidt, R.C. (1998) A framework for identifying software project risks. Communications of the ACM , 41 (11), 76-83. Willcocks, L. and Margetts, H. (1994) Risk assessment and information systems. European Journal of Information Systems , 3 (2), 127-38. Stonebumer, Goguen and Alexis Feringa, 2004, Risk Management Guide for Information Teechnology Systems, National Institue of Standards and Technology. To date, 7 people have rated this article. The average rating is 4.57 - Add your rating. Just select a rating and click the button. No other information required.